This episode of ‘Satyameva Jayate’ was very special for the simple reason that it challenged our complaining attitude towards life. All of us nurture such deep sentiments of having been wronged in life. ‘I deserved better- better life, better job, better partner, and more money’. This universal feeling is often the root cause of sorrows. The world of the disabled showed another side of life. It’s a side of life we blissfully ignore and forget. These are people who have actually been wronged but have no complaints, no regrets. The show showcased some outstanding individuals who have strived, struggled and have finally conquered the world. A disabled person skydiving, a bed-ridden person running an organization and helping thousands and thousands of people, a company manned by the disabled, a school with an equal number of disabled children- the show successfully proved that hope is life; effort is God. Shreya, a very cute girl began the show by telling how her mother treats her as a friend and that’s how the disabled kids ought to be treated. Two things really stood out- education at a regular school with all other children and disabled friendly infrastructure. These two factors coupled with unconditional acceptance and support of parents can turn the world around for the disabled. Sai Prasad, a talented engineer from Hyderabad is now working successfully in the US and has even done sky diving. In India, a fundamentally different approach is needed where we do not consider disability a result of sins of the past lives and we also do not pity the disabled limitlessly. A disabled child should also be punished when s/he makes a mistake just like all other children. We need to create disabled friendly infrastructure where ramps and slopes are easily available. Whether it is the inter-state bus depot of Delhi or GPO at Mumbai or a government building at Bangaluru- life is almost impossible for the disabled. A sensitive approach is required. We should be able to visualize the typical problems of the disabled. Everything cannot be left on the government. The public at large needs to be educated. Krishna Kant is visually impaired and is working at IIT, Powai. He has just married his beautiful girl friend. Trekking is one of his hobbies. Life for the disabled is really difficult in a society which expects the disabled to sit at home and do nothing. Mohd. Kaif, Nirmala, and Kariappa from Dharwad, Karnataka exemplified the dark side of the picture. With about six crore disabled persons, it is in the interest of the society to enable everyone to work and help our society grow. Parents of normal children do not like disabled kids to study with their kids. By doing this, we are actually depriving our kids a chance to understand the problems of others and being sensitive towards others. Amar Jyoti School at Delhi founded and run by Uma Tuli is a bright example of inclusive education. Disabled kids are welcome at the large gates of this school. All children study together. Ramps, wide doors and small steps at the stair case are part of the infrastructure here. The clips and video of the school looked so good. There’s no dearth of goodness. David Lobo and his wife have adopted Nisha, a girl with peculiar skin problem. Ketan Kothari, Javed Abidi, and Rajendra Jouhar are crusaders of the rights of the disabled. Capt. Kamaljeet Singh Brar is running a company in Ahmedabad which develops e-learning modules. Seventy percent of his employees are disabled. His modules are highly in demand. Joginder Singh in Delhi is running a disabled friendly gymnasium. The urge of the disabled to prove themselves, gain respect through their work and show that they are capable of doing everything is simply adorable. It’s for us to accommodate them in our world view. The lines, the discrimination deep imbibed in the Indian mind set need to be erased. But the best part of the show was the fine dance performance by the disabled. It was simply stunning. Stretching human limits is the name of the game. Beautiful, rhythmic and daring steps of the dancers could put other dancers to shame. The dance performance was superb. Aamir’s show has gained momentum. 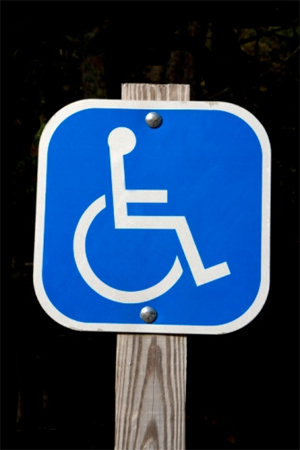 Concerns for the disabled do not come in priority for many. Many feel that a society which does treat normal people normally cannot afford to think of the disabled. But the truth is that things come holistically in life. It’s a question of attitude. All the problems are inter-related. A society which will not kill girls in the womb; will not exhort money in marriage; will not abuse children; will treat the disabled fairly- such a society will not tolerate corruption, cheating, hypocrisy as well. It’s just like the healthy body. One part affects the other part. Societal health comes in one capsule. Once attitudes get on track, solutions will follow. It may sound Utopian but it’s better to be optimistic than to accept failure. Efforts must go on. Continued to "Is Home the Most Unsafe Place for an Indian Woman?" Every individual is unque in its own way so learn to respect and value the diverse nature of human. Kudos to Amir for his thoughtful and sensitive presentation and to you for your concern and highlighting the cases. Our country has millions of kind people to rise to the occasion to bring in a change in our society. There was a case in IIT Madras where the students, the faculty and the dean reached great heights to help a brilliant handicapped student by making a ramp, a lift and providing all possible infrastructure for his success.